Formerly titled “Passages” for the original PGIAA site, our • IN MEMORIAM • section remembers, honors, and celebrates our departed Pacifica colleagues and their achievements. Dorothy Boswell, 63, a well-known psychotherapist and teacher and treasured friend to many, died February 18, 2008, after a noble struggle with a neurological disease. Throughout her illness and during the final moments of her life, Dorothy was surrounded by her family and dearest friends. She was born in Lafayette, Louisiana to Harold and Dorothy Shelden and spent most of her childhood on a ranch in South Dakota that her grandparents homesteaded. She graduated from the University of Wyoming and began an illustrious teaching career, first teaching English at an inner-city public high school in Houston, and then moving to the Magnet program’s School of Communications, where she taught classes in scriptwriting, filmmaking and photography. In Telluride, Colorado, with another outstanding educator, Dr. Margaret Hatcher, Dorothy developed an innovative, inter-disciplinary alternative education program called Quest, based on Joseph Campbell’s Hero’s Quest. Joined by Charlotte McGuire, RN, the three would go on to establish the Southwest Institute for Women, a non-profit organization dedicated to creating experiential adventures for women. 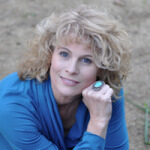 In the mid-80’s, Dorothy moved to California and, as a student in one of the first classes of Pacifica Graduate Institute’s Psychology programs, Dorothy earned a Master’s degree in Counseling Psychology with an emphasis in Depth Psychology. She completed her internship at the Community Counseling and Education Center, and became an integral part of the organization, returning in the 90’s as Core Clinical Staff where she worked until May 2007. At the CCEC, she supervised and trained interns who appreciated her profound knowledge and gentle wisdom. In addition to her robust private practice as a Marriage and Family Therapist, Dorothy worked as a counselor within the AIDS community and facilitated workshops for Hospice volunteers. She made professional presentations throughout the state focusing on writing, astrology, single parenthood, mid-life transitions, the mother/daughter relationship, and the expressive arts. In 1993, Dorothy became a Thesis Advisor at Pacifica and joined the faculty in 1999, where she taught courses in Process of Psychotherapy, Clinical Practice, and training seminars in AIDS and Death and Dying. She later became a Research Coordinator and most recently served as the Director of Research for the entire Counseling Psychology program. There were very few educators more highly regarded and adored by their students than Dorothy Boswell. She was, in every way, a mentor. In guiding students through their research and thesis process, Dorothy’s contributions and those of her students continue to affect the lives of hundreds, if not thousands, of people in profound and heartfelt ways. Along with her abiding interest and superb reputation in counseling and teaching, Dorothy was an avid reader, music lover, noted photographer, astrologer, and inspired organizer of women’s groups wherever she resided. As a testament to Dorothy’s talent as a writer, she was invited to attend the prestigious Hedgebrook Retreat, a women’s writing residence on Whidby Island in Puget Sound. Dorothy touched all who knew her with a rare capacity to meet others in places no one else could reach. Her depth of understanding, coupled with her intellectual breadth and wise wit, inspired everyone she encountered. She has left her indelible soulfulness as her legacy and will live on through the love and memory of all her clients, Pacifica colleagues, students, and loved ones. Dorothy has always existed beyond this time and limit of human knowing and will remain a fixed and glorious constellation in all our lives. Dorothy is survived by her life partner, Kathryn Brown, along with Dorothy’s beloved daughter and light of her life, Maury, her son-in-law, Eric, and her ebullient grandson, Bo. She will be sorely missed by Kathryn’s family, including her children, Gretchen and Josh, granddaughter Olivia, and siblings, Robert, Tom, Peter and Jessica. Dorothy is also survived by her brother, Jay Shelden and his family. Other extended family includes cherished Santa Barbara friends, “The Mermaids,” who will love her madly forever, and her dearest heart family in Arizona, including Don, her former husband, Margaret, Peggy, and Martha. And last, but not least, Dorothy will be missed by her faithful and loving dog, Sappho. In lieu of flowers, the family requests any tributes be made in the form of donations to Community Counseling and Education Center at 923 Olive Street, Suite 1, Santa Barbara, CA, 93101. 805-962-3363. A memorial for Dorothy will be held on Saturday, March 22nd at 2:00pm at the Barrett Center, Pacifica Graduate Institute, Ladera Campus, 801 Ladera Lane, Santa Barbara, CA 93108. 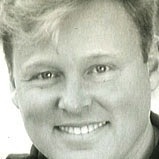 Lee Charles Elliott, 49, formerly of Elkhart, Ind., died in Dallas on April 22, 2008. He had been in failing health for several months. He is survived by his mother, Peggy Weed of Elkhart; his father, Carter (Betty) Elliott of Elkhart; and 11 stepbrothers and stepsisters. His stepfather, Robert Weed, preceded him in death. Cremation has taken place. A memorial service is planned at his church in Dallas later this month. North Dallas Funeral Home, 2710 Valley View Lane, Dallas, is in charge of arrangements. Mr. Elliott was a practicing licensed clinical psychotherapist. He maintained his practice and office near his home in Farmers Branch, a Dallas suburb. He was a 1977 graduate of Elkhart High School and a 1981 graduate of Western Michigan University, with a bachelor’s degree in linguistics. He earned a Master’s of Social Work from the University of Texas and recently completed doctoral studies at Pacifica Graduate Institute in Carpenteria, Calif. He was due to graduate with his Ph.D. in clinical psychology on May 24. While at Western Michigan, he studied Spanish for a year at the University of Seville, Spain. He was active in his church, the Center for Spiritual Living, in Dallas, where he conducted workshops on a variety of topics and served as youth director. He served on the board of directors of Jonathan House in Dallas, a county facility for neglected and abused children. A scholarship was established in Mr. Elliott’s name to benefit students in the Master of Social Work program at Indiana University South Bend. Memorials may be given to the Lee Charles Elliott Memorial Scholarship, P.A.U.A., IU South Bend, P.O. Box 7111, South Bend, IN 46634. Born February 19, 1938, The Bronx, New York, passed away suddenly on October 13, 2009. Son of Anne Mayers Kane and George Kane. Spent his life in service to others as a teacher, administrator, counselor, and mediator. After graduating from City University of New York, he and first wife Betty Staley became involved in the Waldorf education movement. He received his teacher training at Emerson College in England. In 1965 he moved to Sacramento as part of a group of young teachers who transformed the struggling Sacramento Waldorf School to a thriving K-12 institution. In 1976, he co-founded the Rudolf Steiner College in Fair Oaks for training of Waldorf teachers. In the mid-1970s, he developed sites and programs for the new California Conservation Corps. 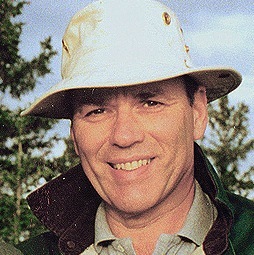 In 1981, he moved to Edmonton, Canada, and led the first public Waldorf program in North America. He earned an MA in counseling from Pacifica Graduate Institute in Santa Barbara and began a career as a therapist. For the past 10 years, he and his wife Gayle managed care homes in the Bay Area for children and youth, and helped many transition to better lives. Franklin had a strong interest in politics, current events, and human rights. After the assassination of Dr. King, he worked as part of Understanding Each Other to integrate Sacramento supermarkets and hotels, and negotiated the hiring of the first black assistant manager at the Senator Hotel. Active and energetic to the end, he enjoyed walking, tennis, travel, and working with his hands. He loved classical music, reading, good food and coffee, and spending time with family and the many friends he cultivated over a lifetime. He leaves his wife Gayle Wicks Kane of Petaluma and her son Kristopher Sawatsky of Hong Kong; daughter Andrea Kane of Washington, D.C.; son George Kane and his wife Ann and their children Benjamin (19), Adam, (17), and Louisa (15), of Lexington, Massachusetts; daughter Sonya Bingaman, her husband, Paul, and their children Katherine (11) and Charles (8), of Fair Oaks. Preceded in death by his sister Joan in July, he is also survived by nieces Jessica Plaut-Capon of Sacramento and Vaschelle Andre of Fairfax, and nephew Michael Plaut of Carmichael. A celebration of Franklin’s life will be held at 4 pm on Sunday, October 18th, at Philadelphia Hall on the campus of Rudolph Steiner College, 9200 Fair Oaks Blvd., Fair Oaks, California. In lieu of flowers, donations may be made to the Endowment Fund in honor of Franklin Kane at the Sacramento Waldorf School, 3750 Bannister Rd., Fair Oaks, CA 95628. Sister Ellen Porter, OSB Sister Ellen Porter, OSB died at her home, Mount Saint Benedict Monastery, Erie, Pennsylvania on August 22, 2008 after a long illness. She had celebrated her 60th birthday last month. Ellen, a daughter of the late Alvin and Caryl Selinger Porter, was born in Pasadena, California. She was baptized in All Saints Episcopal Church, Pasadena and confirmed in St. Luke’s Episcopal Church, Monrovia, California. After high school in Monrovia, Sister Ellen completed an associate degree in nursing at Pasadena Community College, graduating with honors. She received the BA degree from California State University, again with honors, in 1986. She also studied psychology at the Pacifica Graduate Institute. Ellen’s nursing career began at the Southern Inyo Hospital, Lone Pine, California, where she was part of the emergency services staff from 1971 to 1973. Since the tiny town of Lone Pine lies between Mt. Whitney and Death Valley, Ellen was able to hike and climb in places where the beauty of creation is especially vivid. She also loved the beauty of the sea, and so she later lived and worked near it as a nurse in Monrovia and Ventura until 1983 when she served in pastoral ministry at St. Andrew’s Parish, St. John’s Regional Medical Center and, again as a nurse, at United Blood Services. Sister Ellen came to Erie in 1995 for a retreat at the monastery. She stayed, to become a Roman Catholic and a member of our community, entering the novitiate on January 1, 2001. She made her initial monastic profession on January 19, 2002 and her perpetual monastic profession on January 23, 2005. Ellen, a remarkable nurse, cared for sick and elderly sisters and has been a staff member of the Alliance for International Monasticism. She was a published poet — her mother was also a writer — whose work reflects her search for God and her delight in the beauty of nature. Preceded in death by her parents, Sister Ellen is survived by this Benedictine community and by her sister Caryn Porter of Hillsboro, Oregon, her niece, Valerie Robbins-Vickers and her grandniece, Grace, of Forest Grove, Oregon. 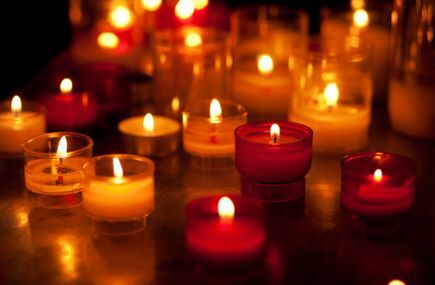 Viewing at the Monastery on Sunday from 2:00-7:00 p.m. with a Service of Memories at 7:00 p.m. Viewing on Monday from 2:00-5:00 p.m. with a Mass of Christian Burial at 5:30 p.m. Memorials may be made to the Benedictine Sisters, Mount Saint Benedict Monastery, 6101 East Lake Road, Erie, PA 16511. Arrangements were handled by A. Brugger & Sons Funeral Home, LLP. Condolences at www.bruggerfuneralhomes.com. Sign the guestbook at www.GoErie.com/obits. Patricia’s inner and outer beauty were in complete harmony. I only knew her for her last five years on this Earth, so I can’t speak for what she was like as a younger being, but I believe her glow was something that just kept deepening with age. I never even knew her age until after she’d passed away, and I still can’t quite believe that she would have been 70 on October 25 — she seemed truly ageless. She died last year, on July 31 at her lovely home in Hope Ranch after a six-month battle with cancer, but she was radiant to the end. I first met Patricia in June 2005, when she kindly agreed to play her Celtic harp at the Braille Institute for the students there, to preview a new series of classes I was coordinating called The Joy of Harps. Leah Young, who was then the president of the local chapter of the American Harp Society and who had volunteered to participate, recruited Patricia to perform with her, so I have Leah to profusely thank for introducing us. After that recital, Patricia became very involved with getting The Joy of Harps program going and making it a success during our first four seasons (2006-2009). Sadly, she was unable to participate in 2010 due to her illness. Previously, she had performed for the class multiple times both solo and alongside other musicians. When she wasn’t playing at the Braille Institute, she often attended just to lend support to the other harpists and to me. Her presence was always a gift, whether she was out front playing or just sitting in the back row, beaming appreciation. As a result of The Joy of Harps, several of the Braille Institute students expressed a desire to learn how to play the harp; so in the fall of 2006, we started the Beginning Folk Harp class, which Margaret Hontos kindly volunteered to teach. Patricia assisted the students every single week — she was what I called a “harp angel.” At the end of the semester, she also volunteered to provide lessons to one of the students; she subsequently gave lessons to another student, too. She was such a giving person and never wanted to be paid for teaching the Braille harp students. Playing the harp was just one of Patricia’s passions, though it was the one that her life seemed to revolve around most in her later years. 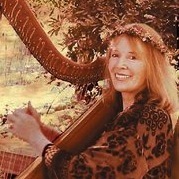 She studied and arranged traditional Celtic harp music, performed her own compositions and arrangements, taught classes in harp playing, music arranging, and creativity, and lectured on the harp as a healing instrument. She played professionally at many public and private events. In 2003, she produced and recorded Open the Door Softly, an exquisite CD of Celtic harp music. She also completed three books of music: Open the Door Softly, Songs for the Small Harp, and Arts and Letters. In addition to these considerable achievements, Patricia was a gifted and accomplished artist and a born therapist. She studied painting at the San Francisco Art Institute after receiving her bachelor’s degree in art history from the University of Oregon. In the 1970s and 1980s, she studied art at the New School in Manhattan and produced a remarkable body of work in abstract painting, works that are found today in a number of private collections. She subsequently earned her master’s in depth psychology from Pacifica Graduate Institute. I think the thread that seemed to connect all her interests and talents was her ability to create beauty and bring comfort to others. Patricia was a caring and loving daughter and sister. She cherished her parents, Marjorie Williams Rushton, who predeceased her by 17 months, and Roy Rushton, who was there to hold her hand as she passed from this life. Patricia’s kindness, grace, humility, and thoughtfulness were part of what made her glow. The devotion of her longtime friends who lovingly assisted her and coordinated her care during her illness was a testament to how very, very special she was. They have created the Patricia Rushton Harp Scholarship Fund to continue her legacy. I miss you, Lady Moonglow. All proceeds and CD sales from Patricia’s music now go to the Patricia Rushton Harp Scholarship Fund at Folk Mote Music, 1034 Santa Barbara Street, Santa Barbara, 962-0830. 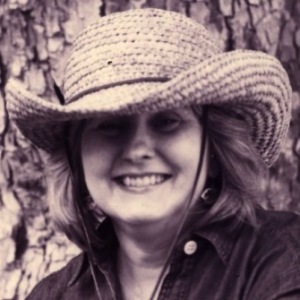 Wendy Davee passed away in her sleep the evening of 22 August 2012. Please visit our Remembering Wendy Davee memorial page for reflections and images in celebration of her life. 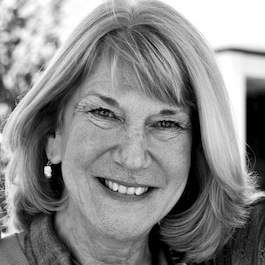 Wendy Davee, 64, of Santa Barbara passed away on August 22, 2012 at Serenity House after a short, courageous battle with cancer. Wendy was born December 28, 1947, to Dr. Paul and Mrs. Peggy Reagan Davee in Iowa City, Iowa. She also spent part of her childhood in Tallahassee FL and moved with her family to San Jose CA in 1957. Wendy graduated from Camden High School in 1965, attended UCSB, and graduated in 1969 with a degree in Philosophy. 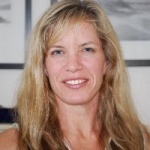 She later earned a Masters Degree in Counseling Psychology from the Human Relations Institute (now Pacifica Graduate Institute) and was licensed in CA as a Marriage and Family Therapist. During her career, Wendy always gravitated toward the helping/healing professions. Out of college, she was employed by the Santa Barbara County Welfare Department. Wendy also worked at St. Vincent’s School, the Devereaux School and, in 2000, she joined the core faculty of Pacifica Graduate Institute. 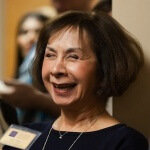 While continuing to teach at Pacifica, she also served for seven years as the Chair of the Masters Program in Counseling Psychology. While Wendy’s career achievements were notable, perhaps her greatest impact was on her family and friends. She developed deep relationships with her extended family and a wide and diverse group of friends over many years (she even maintained friendships with elementary school friends!!). During her illness, Wendy inspired everyone with her optimism, grace and acceptance of her situation. Her unwavering interest in the lives of her friends and family and the abundant love and support she gave to all around her will be forever missed. Wendy was preceded in death by her parents. She is survived by her loving brother Steven Davee and his wife Anne of College Station TX, and her nephew Paul Davee of Brooklyn, New York. Wendy also leaves behind cousins, three God-children, and many extended family members. Wendy’s family thanks her vast medical team, Drs. Woliver, Blount, Belkin, Danson, Fisk and Kearney and the nurses and staffs of the Cancer Center of Santa Barbara, Cottage Hospital, Visiting Nurse & Hospice Care of Santa Barbara and Hospice of Santa Barbara for their compassion and professionalism during her illness. Memorial contributions would be welcomed by the Cancer Center of Santa Barbara, Visiting Nurse & Hospice Care of Santa Barbara, The Nature Conservancy, Best Friends Animal Society, or a charity of your choice. It is with great pain and profound sadness that we inform you of the tragic and untimely passing of Paz Shusterman OBM at the young age of 37. Paz was niftar following Moshiach Seuda. He formerly taught at Yeshivas Ohr Elchonon, and was universally loved by all who knew him. This heartbreaking loss has left his dear wife, Dalia, and their four young children: Zackai, Yisroel, Yosef Yitzchok, and newborn baby Sholom Ber, reeling with a tremendous need for funds. Under the Auspices of Rabbi Shimon Raichik, Rabbi Ezra Schochet, and Rabbi Yosef Shusterman, we have launched an effort to raise funds for Dalia and her four children. We lost Paz very suddenly on April 27th, 2011. He leaves behind a loving family including four young boys between of the ages 5 months and 7 years. As his parents and sister, we want to ensure his children’s long-term needs are met. We’ve created four trusts, one for each of Paz and Dalia’s children. The trustees are Paz’s parents, Alice and Dennis Shusterman. Because of the specific trust type (2503c), contributions need to be made separately to each trust. We understand that people want to help and we are grateful of any donation, regardless of the amount. We just request that equal contributions are made to each of the boys’ accounts.